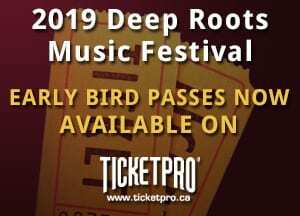 Thank you for being part of the Deep Roots Music Festival. We ask you to take a moment to share your experiences and your thoughts about the festival. All information gathered is for festival use only, and will help improve our festival in the years to come. Your name and email are required to complete this survey but will not be incorporated into any final survey results. Which of the following influenced your decision to attend the Deep Roots Music Festival? Choose all that apply.